As a world’s leading self-balance unicycle , Airwheel Q5 is built by Hi-tech engineering PC featuring superior resilience and abrasion/impact resistance. The application of the cutting-edge material contributes to less power consumption by reducing the weight. To better match your apparel and lighten up your mood, Airwheel Q5 comes with replaceable cushion pad available in more fresh colors. 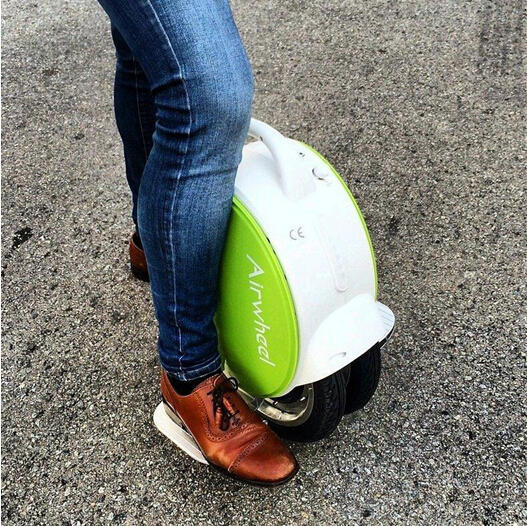 As the core control system in an electric unicycle , Airwheel Q5 boasts a brand new intelligent chip with only 0.03s latency, which acts at your intention and monitors real-time data to stabilize the movement and balance.